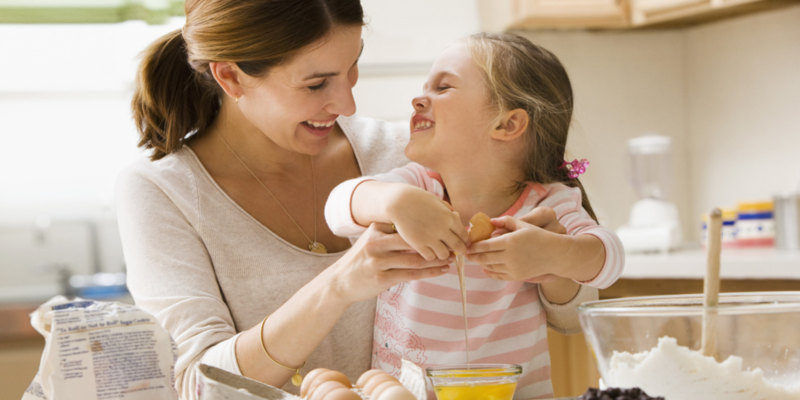 The easiest way to get kids involved with cooking dinner is to start with simple recipes that even a five-year-old can help with! 1.Dough Boy Mini Spinach Pies- These quick and easy pies filled with chicken, eggs, cheese, and chopped spinach mini are easy to make and yummy to eat. · Separate biscuit dough in half; roll into 3-inch rounds. · Shred chicken and divide to make 5 servings. · Add 2 tablespoons butter to skillet. · Whisk eggs and pepper together and add to skillet. · Cook egg mixture over medium heat; soft scramble. · While egg mixture is cooking, squeeze any excess water from thawed spinach. · Once eggs are done, remove from heat. · Add to 1/2 biscuit dough, top with 2 tablespoons spinach, shredded chicken, and two tablespoons cheese. · Place other half of biscuit dough on top and crimp edges; top with cheese. · Bake as directed; about 10 minutes. 2. Rainbow Goulash-Rainbow goulash is a simple, filling recipe, and with only eight ingredients, this goulash is sure to become a crowd pleaser with your hungry bunch! · Drain pasta and add to ground beef mixture, stir until well mixed. 3. Sausage Jambalaya- With only five ingredients you can go from skillet to table in five minutes. · Place veggies in skillet, sauté about 1-2 minutes until the veggies are well married. · Add smoked sausage (do not let sausage fry). Cook until juices pop. · Place rice in microwave per package directions and add to veggie-sausage mixture. · Continue to simmer about 3 minutes to let the flavors blend together. With quick and easy recipes the entire family can make together, it’s time to put down the cell phone, turn off the T.V., and pick up a skillet!